At homify, we often see fabulous homes in photographs, but rarely do we have the opportunity to see all of the plans that were used to design and build them. Not in this ideabook! Join us on a tour of four fantastic houses with their plans so that you can have a better understanding of how they are distributed and designed. Hopefully you will also be inspired to design your own home with the help of some of our talented experts and professionals. Let's take a look at these four modern, contemporary houses, which will undoubtedly unleash your creativity! The main façade of the home stays hidden behind high walls and a large door. 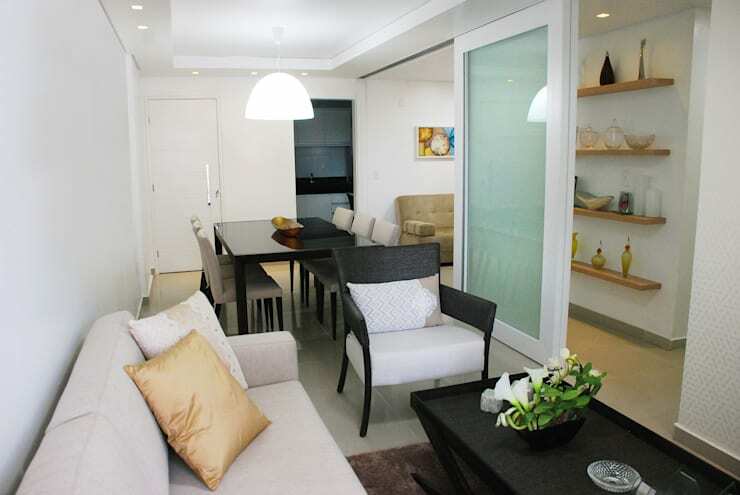 In this way, the private sphere of the residents is protected from the strongly frequented street. Nevertheless, one realized from this perspective that the introverted and closed façade veils a modern, linear piece of architecture, which offers with certainty a large amount of comfort and style. 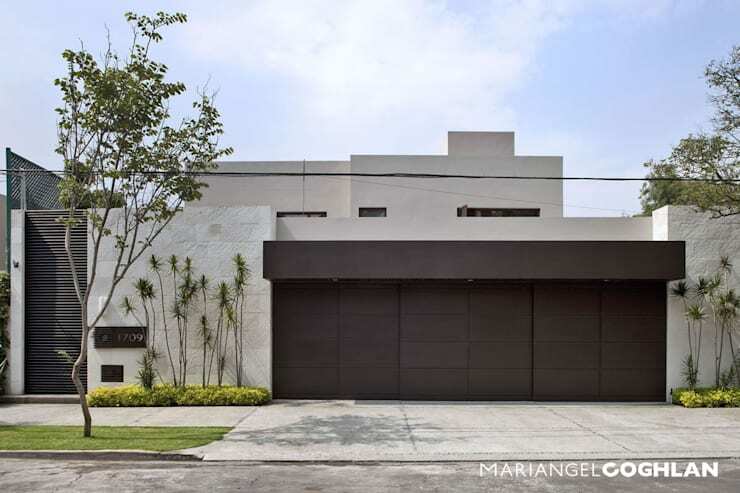 This house was designed by interior designer Mariangel Coghlan and seeing the architectural plan will help us to understand the creative process! Couldn't you picture this expansive and multi-functional home as your own in your favorite Canadian neighborhood? 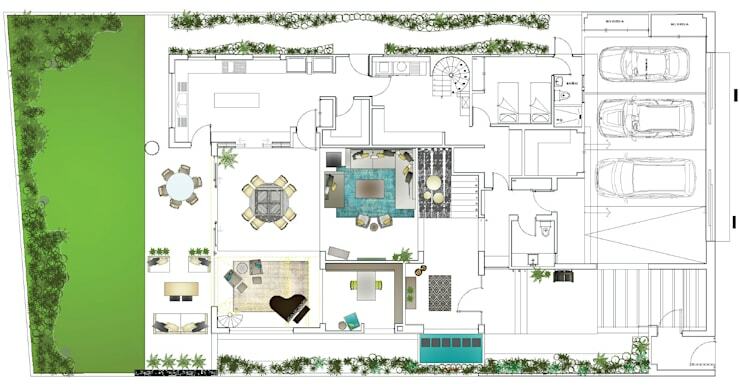 The plan illuminates the elements that will be introduced into the home as well as outside areas, helping to give us a better idea of the final result as well as the layout of the furniture design. This is a simple, fun and easy way for us to picture what a home will look like when implementing our home project. In the plan of the ground floor, we could see how the piano had been carefully positioned next to the dining room. Here we get to see what it looks like in reality! By following the plan, this social space has resulted in an incredibly lovely design. 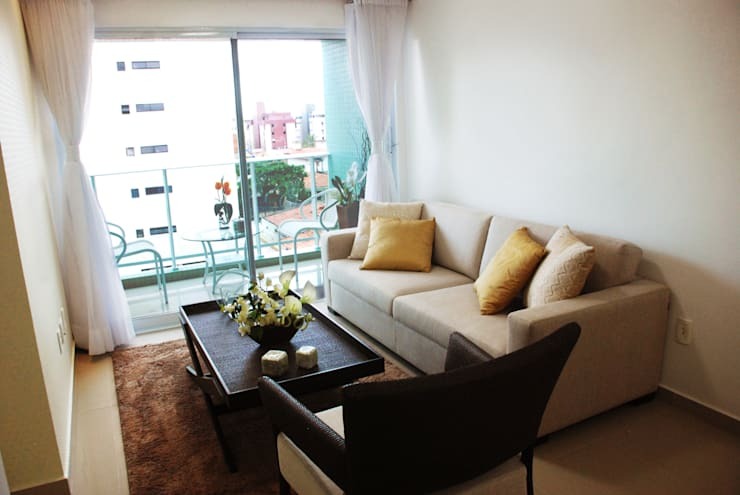 Here we can see the living space from another angle. 2. Very modern and equipped with everything! 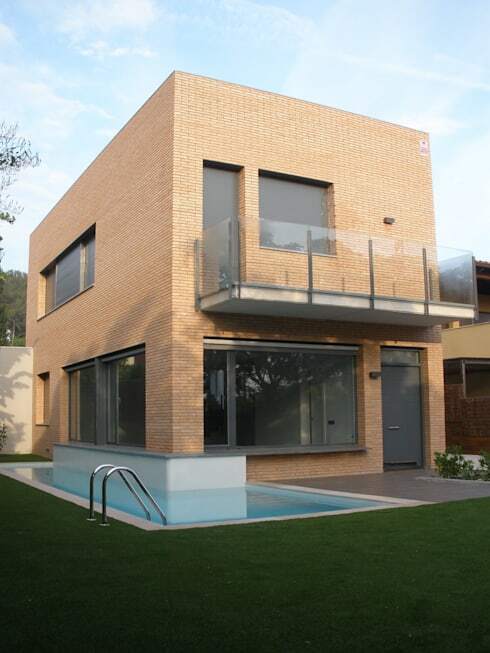 This house is a family home, located in Barcelona, Spain and is designed by architects Bravo Design. 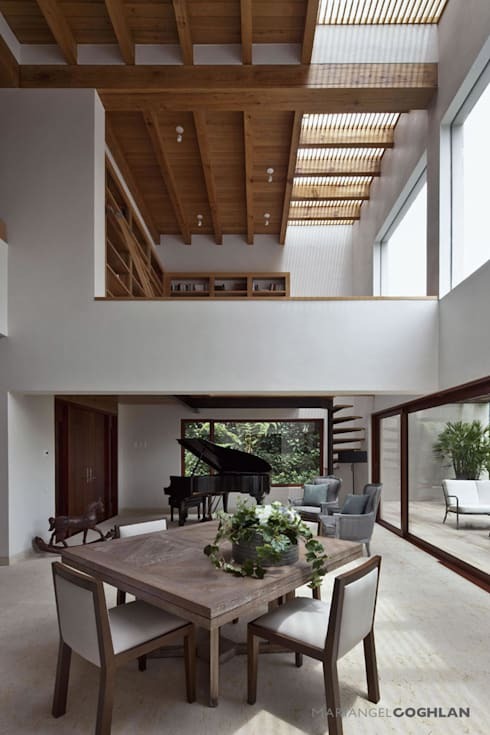 The house is built on two floors, with distributed social spaces on the first level while the more private spaces for the family are positioned on the second level. 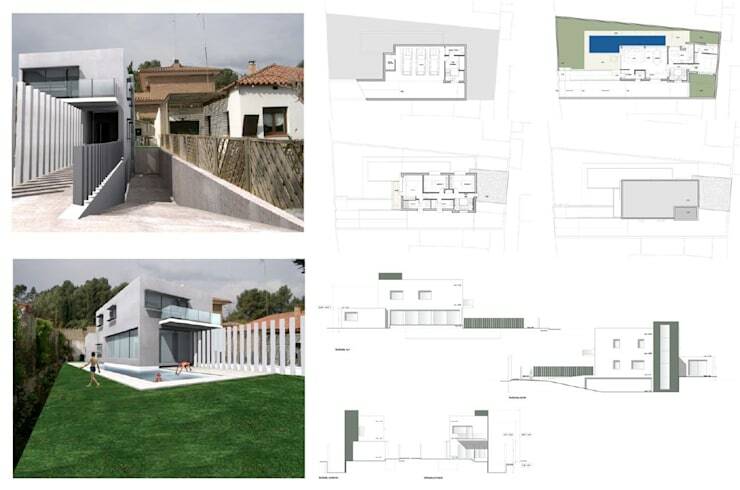 In these drawings, we can see that the distribution as well as the facade of this modern home makes for a very stylish and appealing design. Here we can see what the house looks like after it was built, with some changes to the final design that weren't originally predicted. However, the project evolved and was better adapted to the ground conditions. Design improvements are always possible as the project progresses. 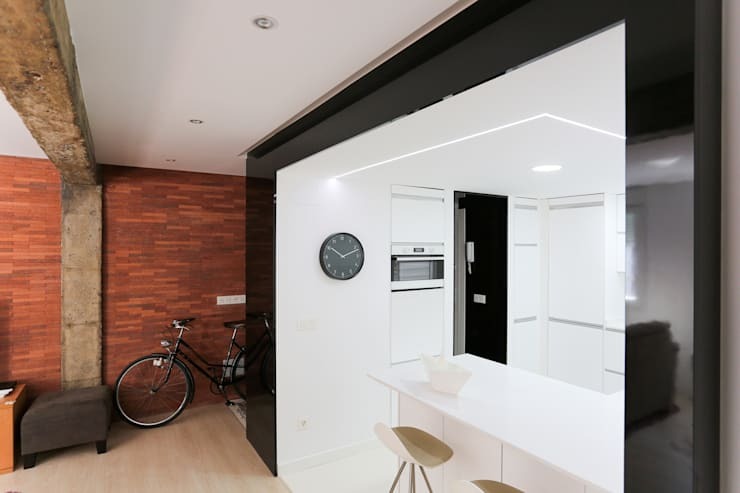 As we can see in the image, this is a simple home with a contemporary design. It features clean lines, sharp angles and an attractive texture that makes the home look like it is made from brick. If you like this style, you'll love these 9 amazing modern houses. 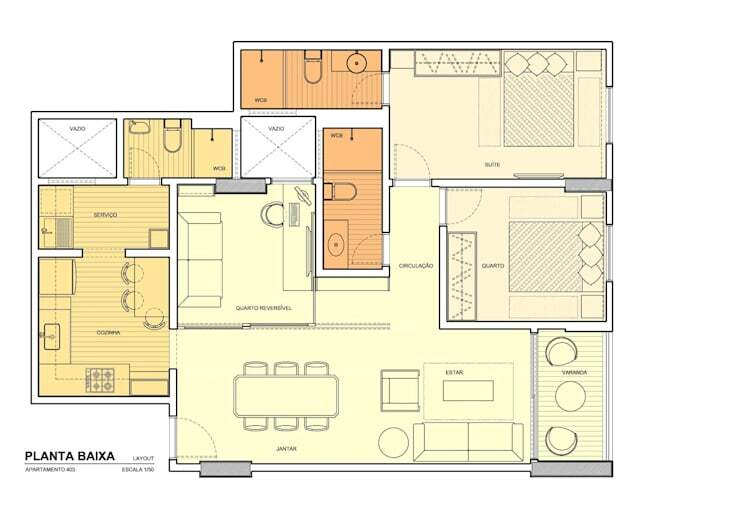 Now let's take a look at the physical layout of a small apartment, designed by Martins Lucena, who have relied on colours to distinguish the different areas that make up this architectural plan. 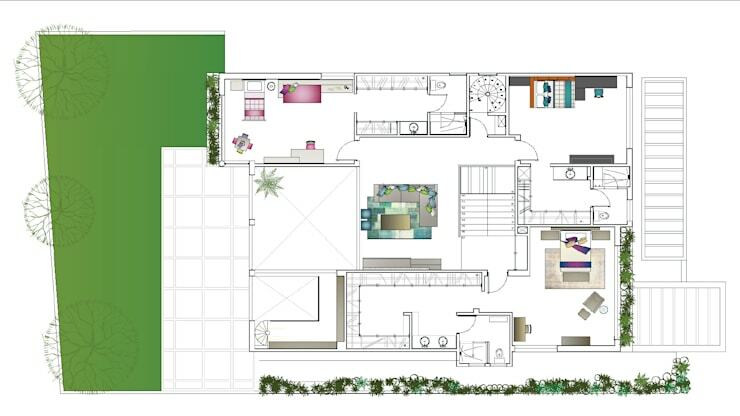 In the image, we can see a separate social area, an outdoor space, bedrooms and bathrooms. This image helps us to see how there is a continuity between the spaces with a wonderful flow throughout the interior and exterior areas. 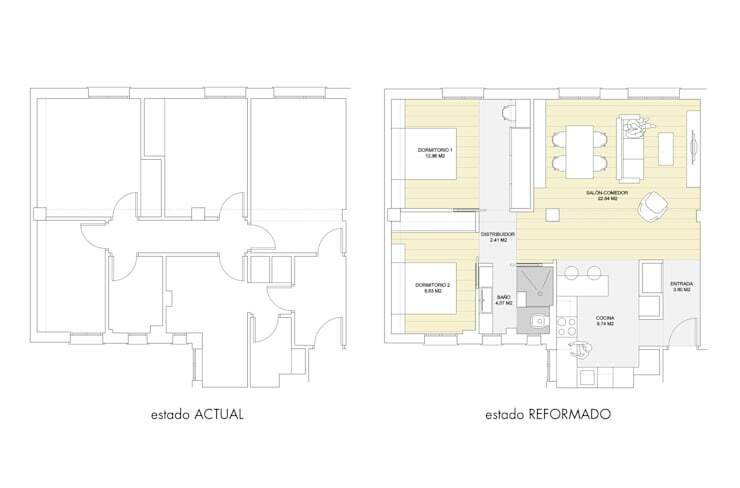 In the plan, we could see that the social area was distributed in an open plan design, communicating between the dining room and the kitchen as a continuous space. Here we can see exactly what this looks like! 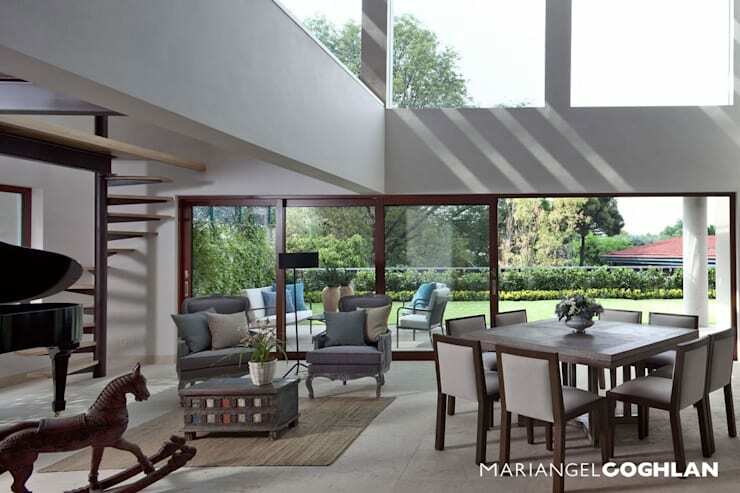 The result that we see in this image is beautiful, with an uninterrupted view of the dining room and living room. 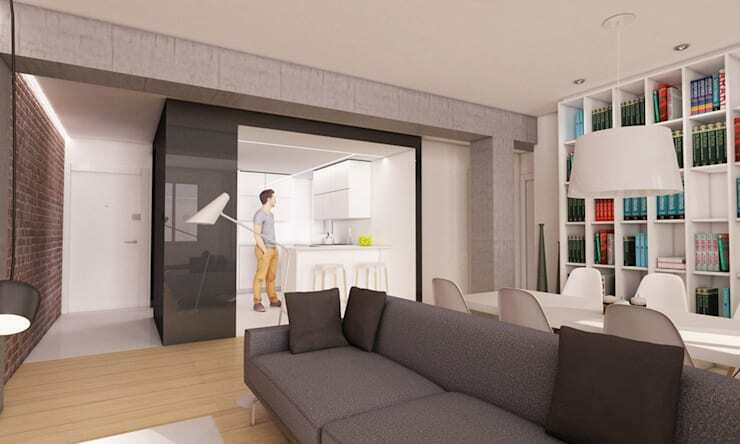 We can really see how the designers have created a sense of space and how there is a visual communication between the rooms, which is perfect for the coexistence of the residents of this apartment. Natural light also plays a big role in making a space seem bigger, which is why large windows and doors play such a big role! Let's take a look at this gorgeous little space! 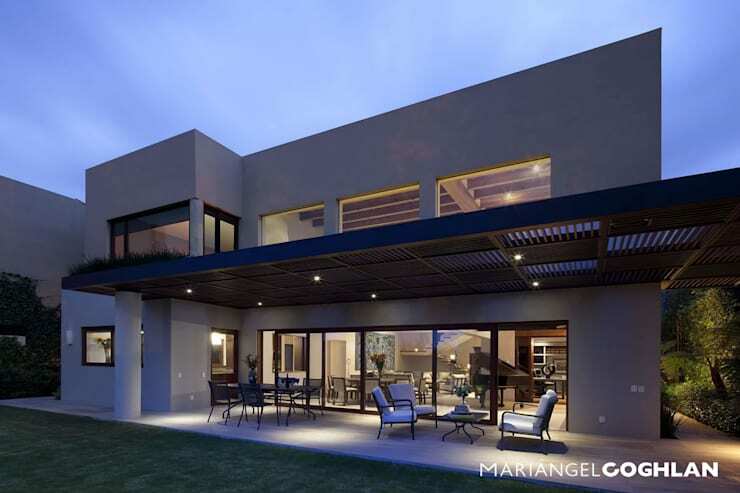 Thanks to the detailed and professional plan, we can predict the results of the architectural design and see the execution take place right before our eyes! However, we can also have a look at a 3D model for better visualization, truly understanding what you want to achieve. Thanks to technology, today we have constant access to these tools and services. 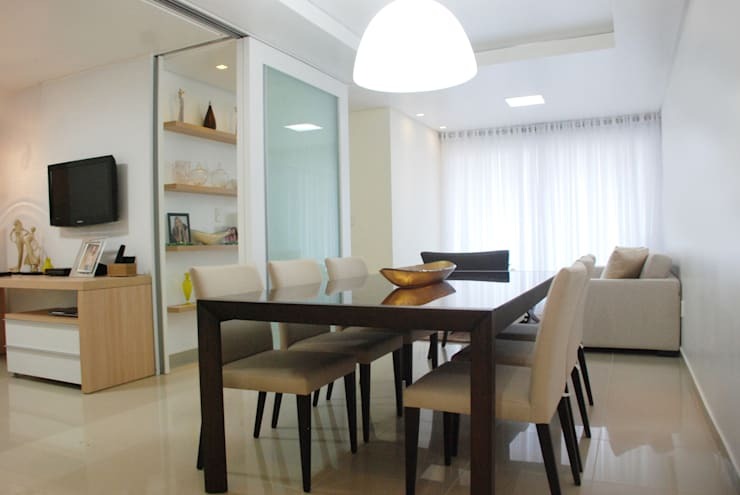 Experts can also help us to achieve optimum results in the overall projection of what our home will look like. If you want to see some more inspiring homes, you'll love these 7 ideas to copy from a great house.